This looks delicious! I usually use a little Chardonnay and fresh squeezed lemon when I make mine, but I’ll have to try this recipe because it looks a lot simpler. I’m all about simplicity – especially if it tastes good, too! 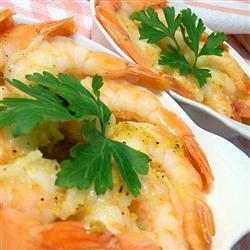 I love Shrimp Scampi! I always have fun cooking shrimp!